007 Bristol – A clean and comfortable sleep from £10 a night! A clean and comfortable sleep from £10 a night! Are You Coming To Bristol ? Are You Arriving At Bristol Airport And Looking For The Nearest Hostel? Are You Looking For A Quiet Comfortable And Cheap Place To Stay? Then Check Out Our Hostel! 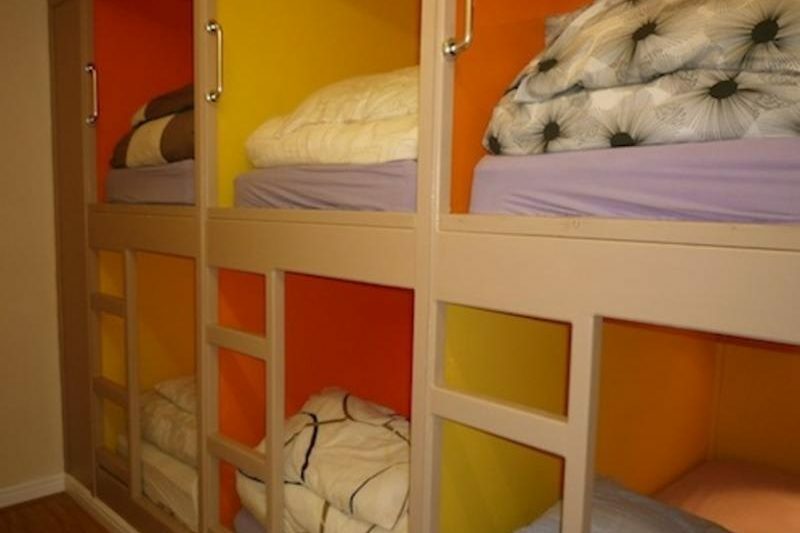 Our Dorms Are Fully Carpeted With Up To A Maximum 8 Full Size (6Ft 3In Long Approx 1.9M) Bunk Beds In Each Dorm. The Rooms Are Fully Central Heated And There Are 24 Hours A Day Shower Facilities. EMAIL FOR WEEKLY RATES OF £70! 007 Bristol Hostel has four dorm types available – 4 beds, 6 beds, 12 beds and an 8 bed POD dorm. Bed sheets and linen are provided, free internet, tea and coffee also provided. Our fantastic transport connections mean that all of Bristol’s attractions are easily accessible. These attractions include Clifton Suspension Bridge, SS. Great Britain, Bristol Cathedral and Banksy Graffiti Frogmore Street. If you like shopping the new Cabot Circus is only a short bus ride away. There are a number of pubs and restaurants nearby featuring cuisine from across the globe. Bristol also has a brilliant nightlife and there are a whole host of clubs and late night bars where you can go out and party, from Mr Wolf’s on Baldwin Street to Oceana on the Waterfront. Please note that we can not accept bookings for guests under the age of 18 years. All guests are required to present a valid photo ID at check-in. We will accept group bookings of more than 6 people only with a security deposit of £15 per person. This will be refunded 48 hours after check out if all is o.k. Any weekend bookings for groups of more than six people need to pay in full 1 week before arrival.